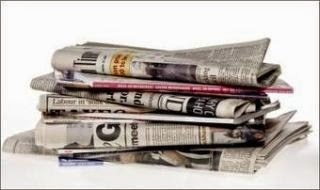 Greatly Exaggerated: From two newspapers to none in Vancouver? From two newspapers to none in Vancouver? This sort of hysteria was widespread six years ago in the wake of closures of the long-publishing Rocky Mountain News and, closer to home, the Seattle Post-Intelligencer. The American Journalism Review emblazoned “Cities without Newspapers” across its cover in mid-2009. The New York Times, which one study found to be the worst culprit behind the newspapers-are-dying alarmism, quoted one analyst as predicting an imminent extinction. USA Today printed a short list of cities that were candidates to see their only remaining daily close. “At least one city — possibly San Francisco, Miami, Minneapolis or Cleveland — likely will soon lose its last daily newspaper, analysts say.” Time magazine even handicapped the field, running a list of The 10 Most Endangered Newspapers in America on its website. “It’s possible that eight of the nation’s 50 largest daily newspapers could cease publication in the next 18 months,” writer Douglas McIntyre predicted, citing an analysis of financial and market data. Then-Vanity Fair and now-USA Today columnist Michael Wolff had an even more dire prediction. “About 18 months from now, 80 percent of newspapers will be gone,” he told one of the many panels convened to debate the future of news. Eighteen months later, all and sundry had egg all over their faces as newspapers stubbornly continued to publish on. The closest thing to the closure of a major daily was the merger in June 2010 by Victoria-based Black Press (no relation to Conrad) of the dominant Honolulu Advertiser and its joint publishing partner, the Star-Bulletin, a struggling tabloid with a circulation of just 37,000. When Advance Publications reduced its New Orleans Times-Picayune to thrice-weekly publication in 2012, it was met with a revolt by both readers and advertisers. After the nearby Baton Rouge Advocate entered the market with a daily New Orleans edition, Advance started a street tabloid to be circulated on the days its Times-Picayune didn’t. So much for the death of newspapers. 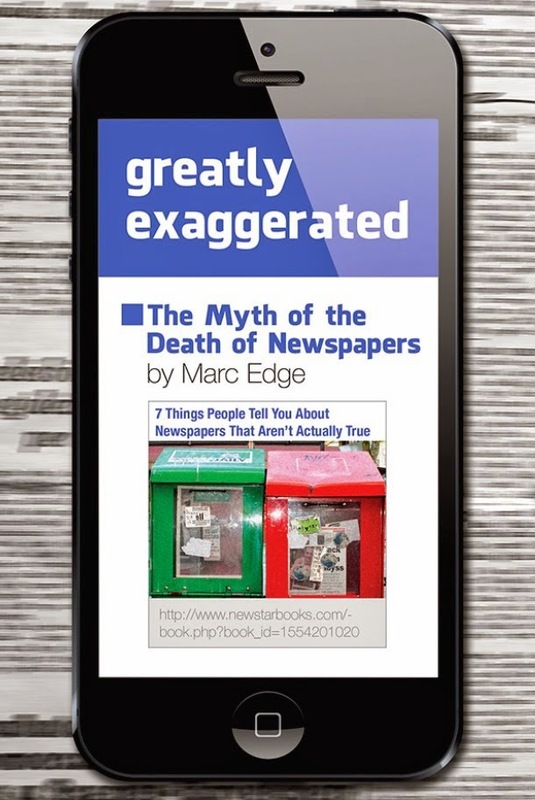 Willcocks, a retired former publisher of newspapers in Red Deer, Saint John, Peterborough and Victoria who now resides in Central America, was one of the first to request a copy of my latest book, Greatly Exaggerated: The Myth of the Death of Newspapers, which was published in November by Vancouver’s New Star Books. He seems to accept its central finding — newspapers are still making money, just not as much as they used to make — but disagrees with my conclusion that newspapers will thus continue to endure. “I am rooting for the newspapers’ reinvention and survival,” he writes, pointing out Postmedia’s plummeting revenues. “But with each quarterly report, that seems less likely.” Sure, Postmedia made $110 million in its last fiscal year, Willcocks admits, but that was down from $190 million a few years ago. “Who really wants to think about owning a business on that trajectory?” He is not optimistic about the future of newspapers. “I’m not hopeful that they will survive in any form,” he writes. The income they have added from paywalls, he insists, cannot save newspapers. “Postmedia doesn’t share the information, but the actual revenue from online subscriptions is likely to provide about $1.2 million per paper.” Well, that’s $1.2 million more than without paywalls. As the old saying goes, every little bit helps. Newspapers have shown an entrepreneurial spirit in diversifying their revenue streams and now pull in almost as much from events and other income as they do from digital advertising, which stubbornly refuses to grow. But most of all, it is their ability to downsize effectively that will save them. As long as they can keep their expenses below the level of their plummeting revenues, they will remain profitable. Why would anyone close a profitable business? Newspapers started out as small businesses, typically published by a one-man gang of writer/editor/publisher, and they are simply on a trajectory back to that status. But Willcocks’ dire prediction, or at least one of the comments on it, has forced me to revise a long-standing prediction. For the past 30 years, ever since I was a Province reporter and a member of the Newspaper Guild union executive, I have pooh-poohed any talk of folding one of the Vancouver dailies or of merging them. I predicted that if that happened, presumably closure of the smaller Province, the Sun Media chain would be in Vancouver publishing a tabloid before you could blink. After all, Southam had proved the tabloid format wildly successful with the Province, and that was what Sun Media specialized in. But with the announcement in October, just as my book was going into production, that Postmedia had bought the Sun Media chain from Quebecor, that option is likely off the table. The deal is still subject to approval by the Competition Bureau, but I expect it to be rubber stamped soon. Quebecor still publishes a few tabloids, but now they are confined to Quebec. The country’s other major chain, Torstar, publishes exclusively in Ontario. “With the Postmedia takeover of Sun papers, either Sun or Province will go for sure as there’s no longer competition,” pointed out Tyee commenter Dave Shirlaw. I fear he may be right. After all, as my book chronicles, it has long been shown that one monopoly newspaper can be as profitable, if not more profitable, than two.